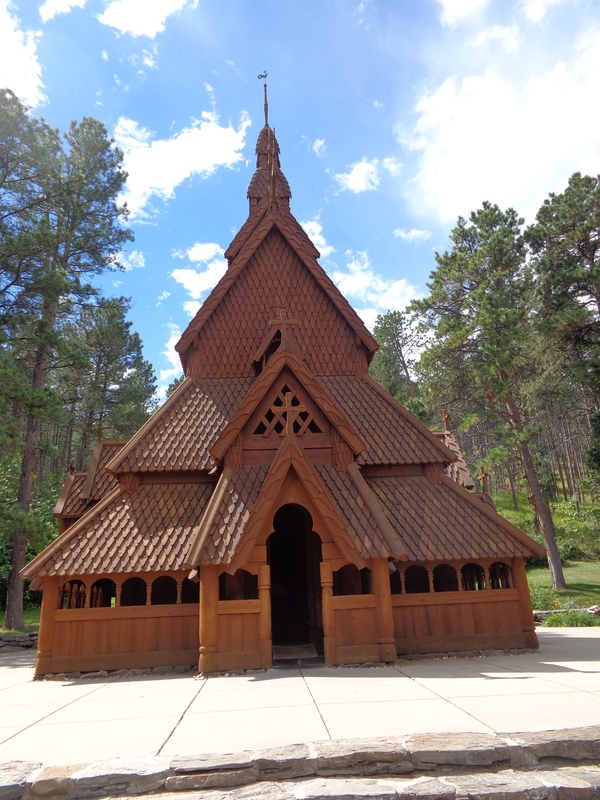 Rapid City, SD is home to the Chapel in the Hills, an exact replica of the Borgund Stavkirke built around 1150 in Laerdal, Norway. 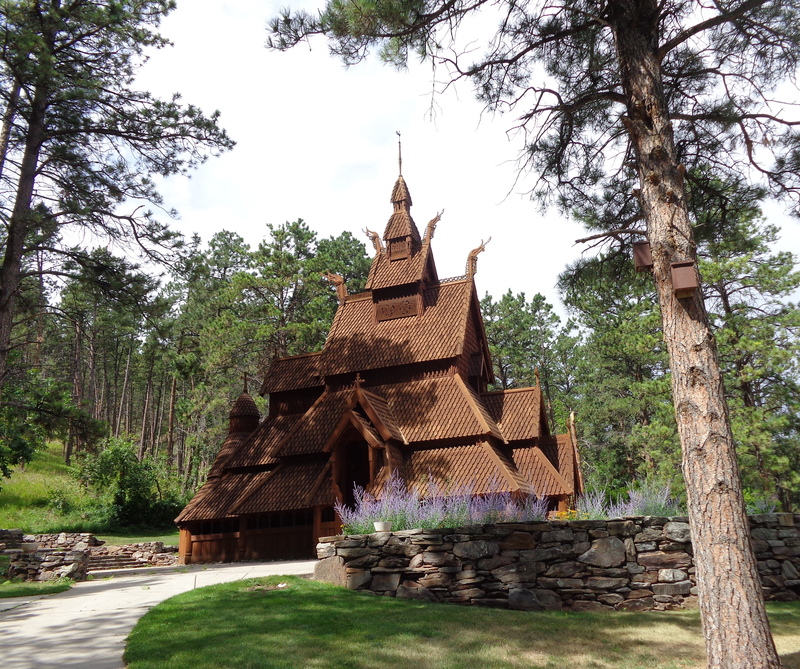 A stave church is a medieval wooden Christian church building, named because the load-bearing posts are called stav in Norwegian. 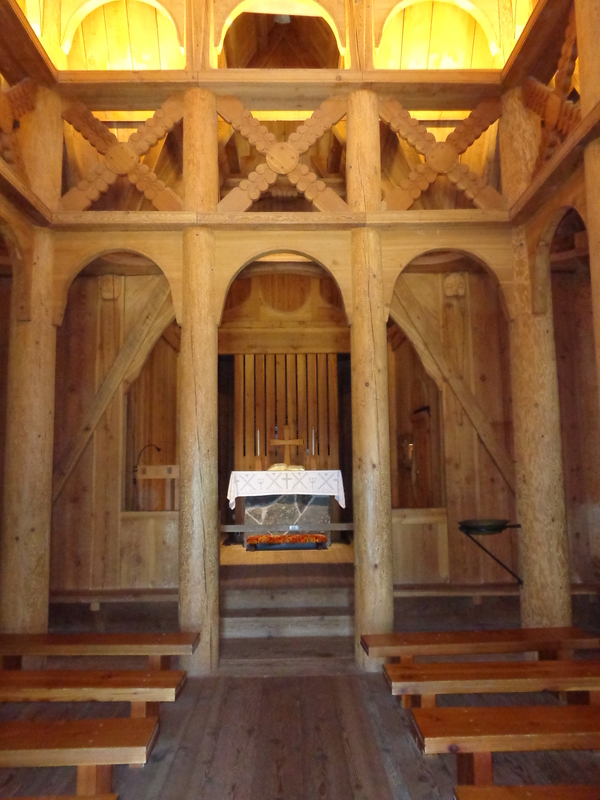 The Chapel, completed in July of 1969, was originally built as the home for the “Lutheran Vespers” radio program. When that program moved to Minnesota in 1975, it left no support for the Chapel, and a non-profit organization was formed. The Chapel is now an ELCA church, although it has no congregation, and receives no funding from the organization. 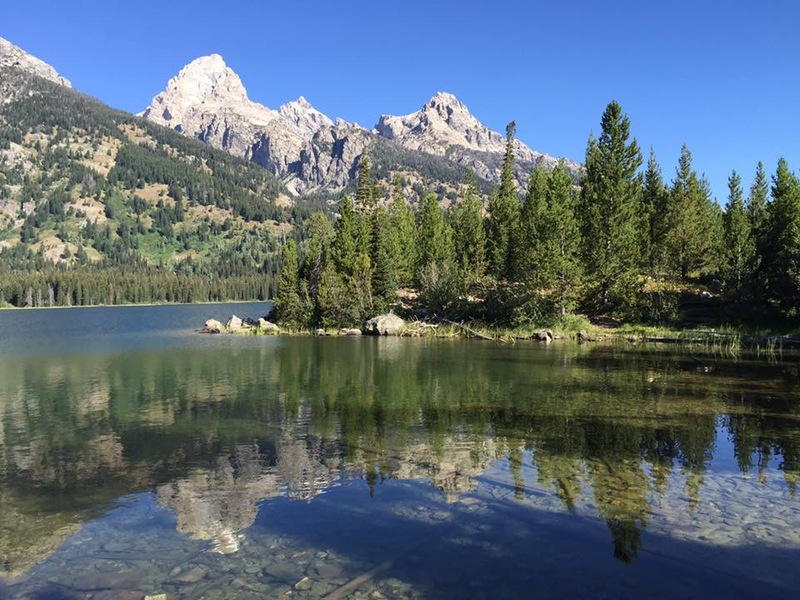 Private donations, gift shop sales and wedding fees support the Chapel. It is now on the National Register of Historic Places. The front door of the Chapel is known as the “men’s door”, as men stood on one side of the church, women and children on the other side, in early times of the church. Women and children entered through the side door, known as the women’s door. In the photo below, Dan is looking though the leper’s window. A person with leprosy, an infectious skin disease, was not permitted to enter the main church, but could receive communion through this window. 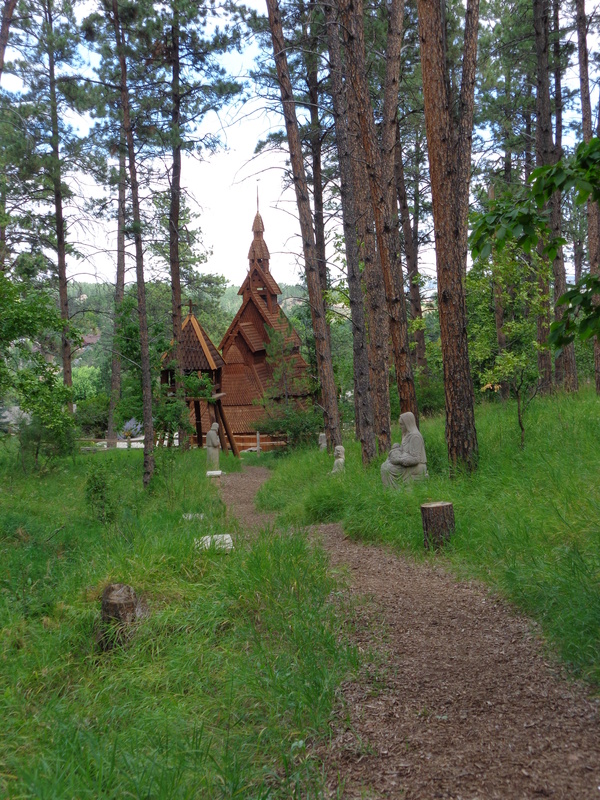 A prayer walkway has been added to the grounds behind the Chapel. 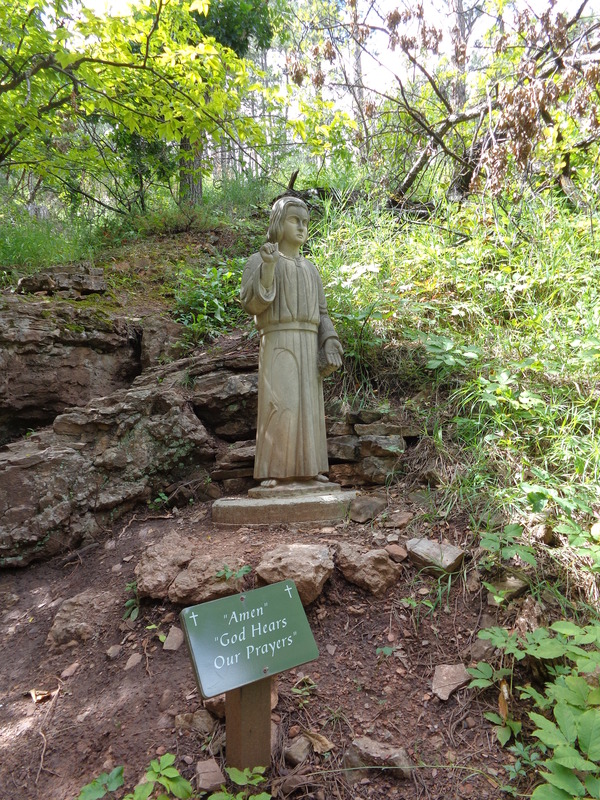 There are sculptures along the path with inspirational messages. 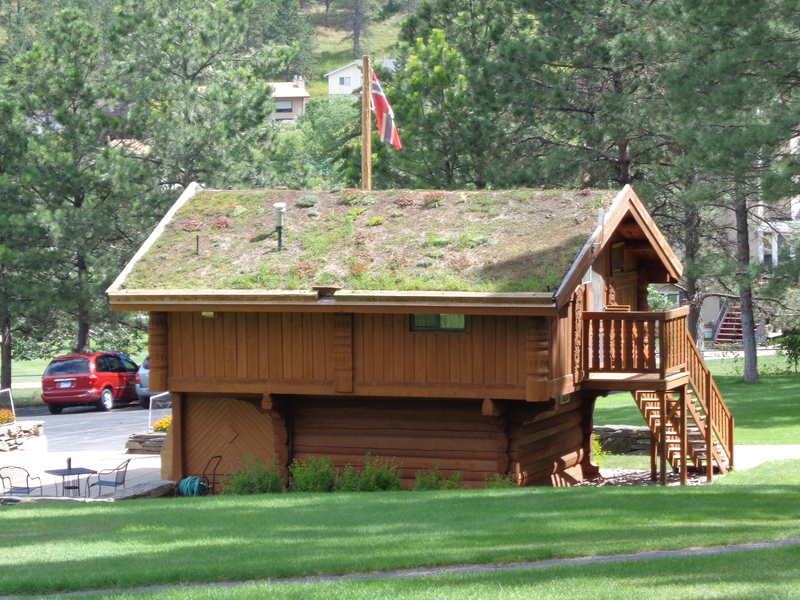 The gift shop has a grass roof and displays the flag of Norway. 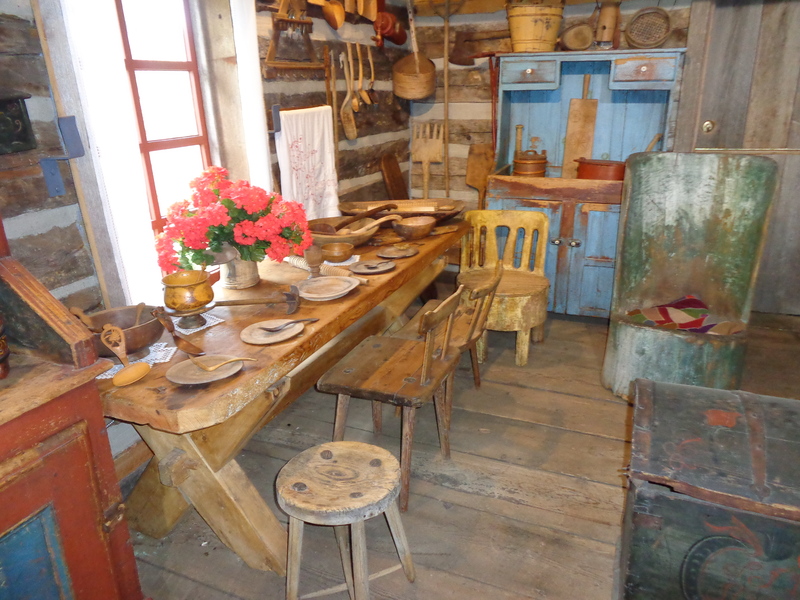 There is also a small museum, in an original Norwegians settler’s log cabin, that was relocated from Keystone, SD. The museum has many items used by the early immigrants. 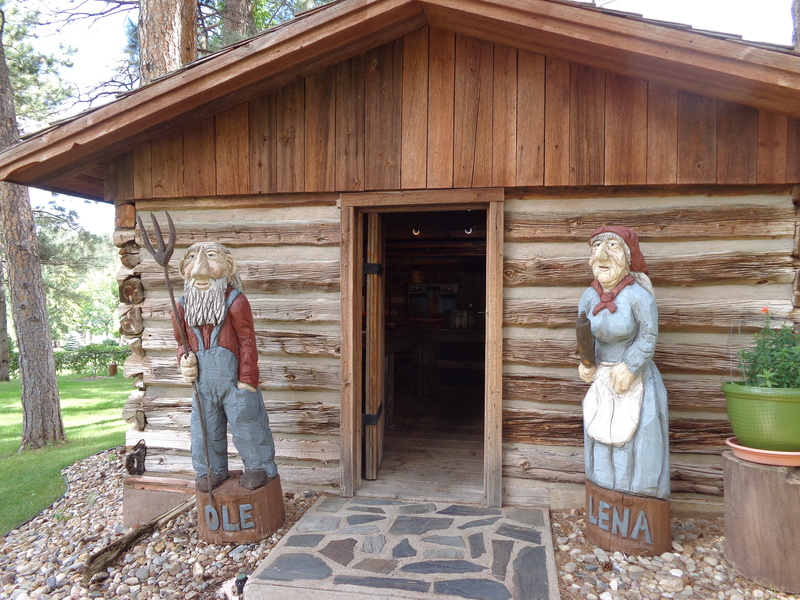 And of course, they have statues of Ole and Lena in front! 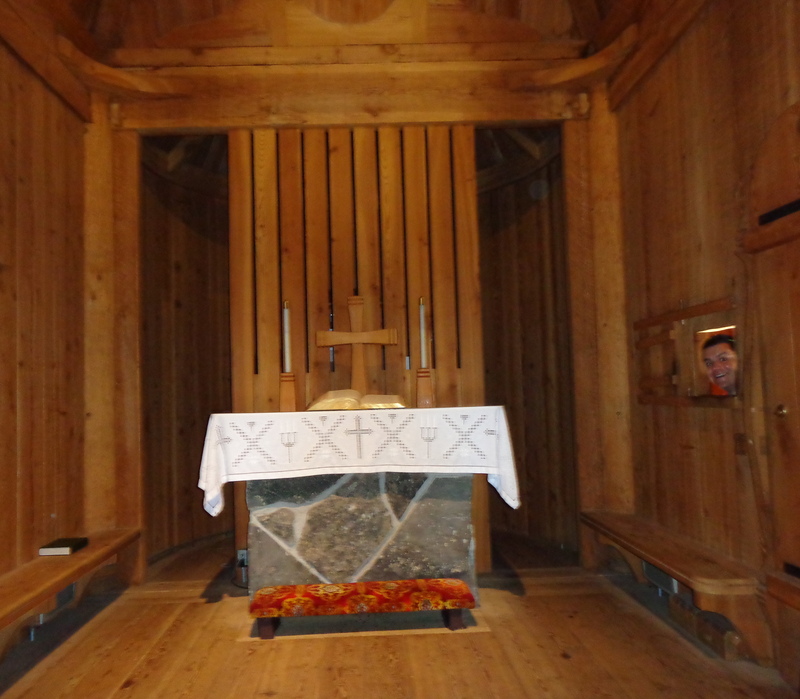 We were surprised at how tiny the Chapel was, but enjoyed the visit. It would be a nice place to have a small wedding at. ‘Good morning Pastor,’ he replied, still focused on the plaque. ‘Pastor, vat is dis?’ The pastor said, ‘Well, it is a memorial to all the men and women who died in the service.’ Soberly, they just stood together staring at the large plaque.